How do you insulate windows? Single pane glass windows are virtually thermal holes in your walls. Having R-Values of roughly 1, they allow 19 times more heat to escape than an R-13 wall surrounding them. If you have lots of windows, insulating them could be one of your best energy improvements. However, keep in perspective how much you can improve them and still see through them. Adding another layer of glass raises their R-Value to just over 2, meaning now they are only losing 9 times as much heat as the insulated wall. Triple glazing can bring a window's R-Value up to 3, but because of their expense they are only cost justified in severe climates. Storm windows can be also be added to existing windows. They add a second layer of glass, halve the energy loss through the windows and often reduce infiltration through cracks in the old window casings. Of course, it would be better to have double-pane windows in the first place. Using double-pane windows to begin with brings three additional comfort advantages which some find more valuable than the energy savings. The first is the reduced noise provided by insulated windows. The second is less infiltration of dust and pollen. 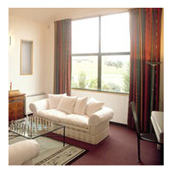 And the third is that insulated windows are warmer to the touch, which has a significant effect on body comfort. Because our bodies radiate heat toward cold surfaces even when they are several feet away, a cold window makes one feel colder.